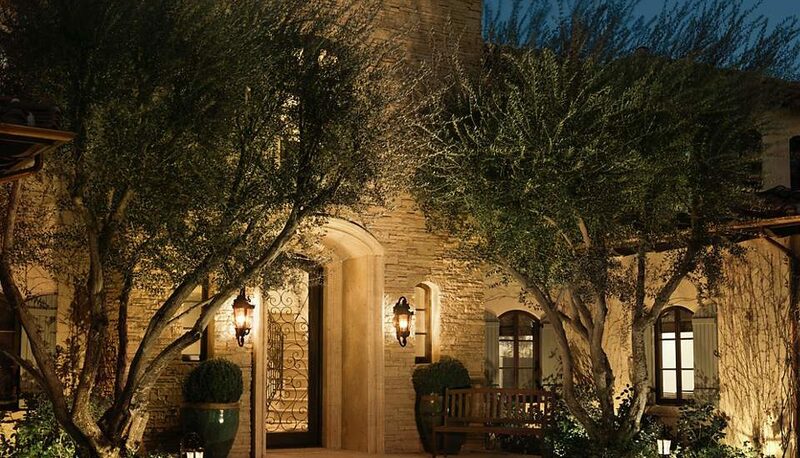 Well-planned outdoor lighting is essential to curb appeal. The right combination of outdoor lighting fixtures highlights architecture and showcases landscaping, creating an appealing and welcoming sight to both passersby and guests alike. Here are our ideas for using outdoor lighting to get curb appeal. 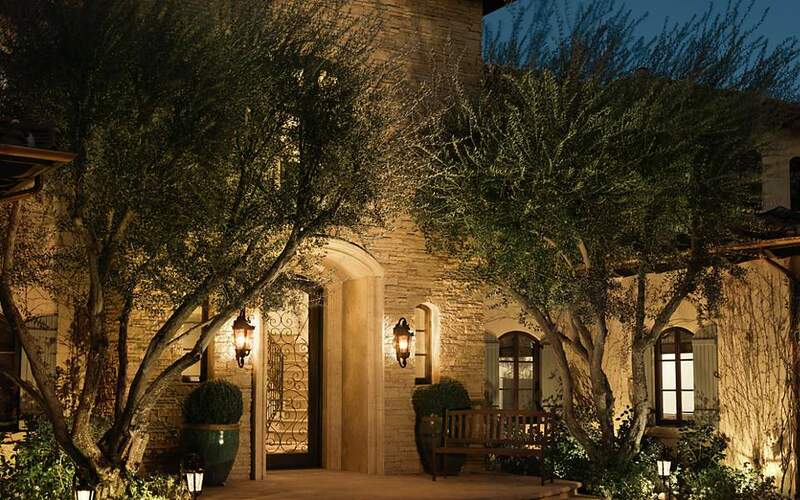 Outdoor lighting is an important but often overlooked factor in outdoor decorating. Besides being attractive, outdoor lighting fixtures provide light for security and safety purposes as they protect against intruders and falls. A combination of pathway, landscaping and entryway lighting is the recipe for a perfectly lit exterior with a lot of curb appeal. If you can’t use hardwired lights, solar path lights are available, but they aren’t as bright as their hard-wired brethren. Post lights are great for creating curb appeal as well. Place a pair at the end of your walkway near the street to create a visual gateway. For the energy conscious, both path and post lights come in LED versions as well. LED lights have come a long way from their cold, bluish light of the past. LED lights can now cast a soft, warm glow, which is exactly what you want for your outdoor lighting fixtures. Outdoor LED lighting is fast becoming the light of choice for lighting designers and homeowners because of their long lives. LED bulbs generally last approximately 18,000 hours (about 18 years)! Have a dim pathway? Just use a series of outdoor path lights to brighten it up. Landscaping lights are used to showcase architecture and landscaping – two important components of curb appeal. 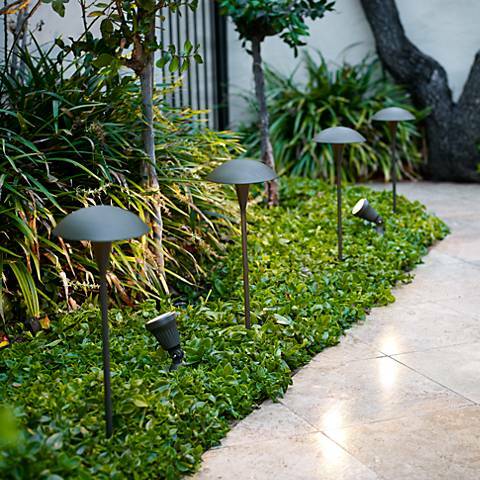 Landscape lighting also comes in energy-efficient LED versions, a wise investment. 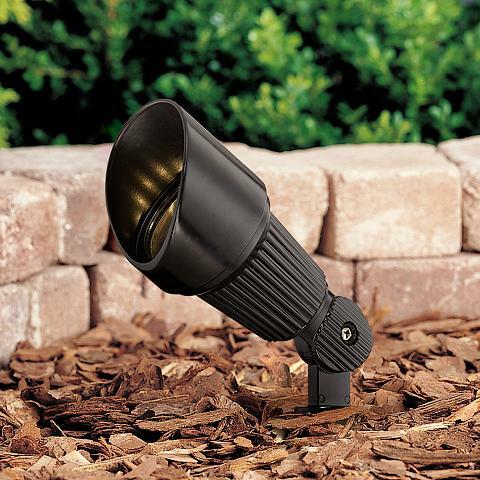 Get landscape lighting for your garden or front yard. A pair of stylish wall lights on either side of the front door and a pretty lantern above create a welcoming place to pause as your guests wait to cross the threshold into your home. 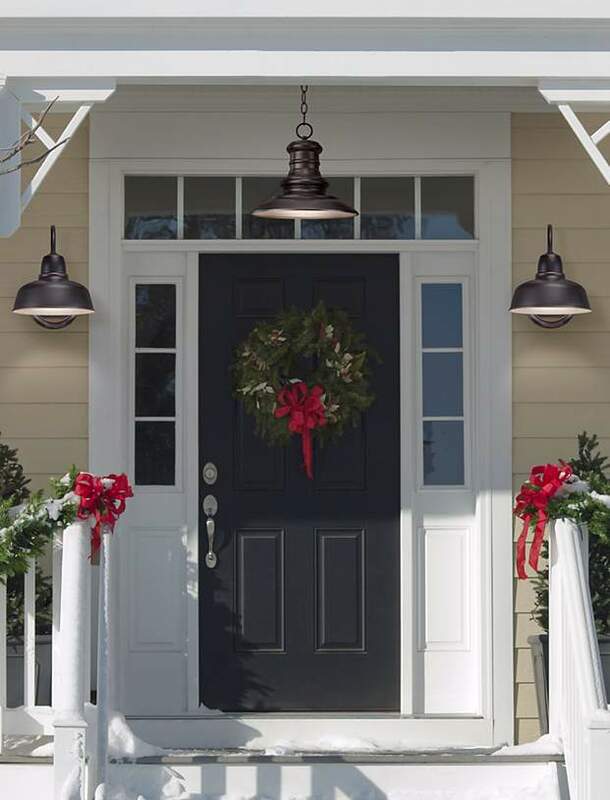 Like the other two types of outdoor lighting fixtures, entryway lighting is important for safety and security reasons. You definitely want to be able to see who comes-a-knockin’! Try a combination of hanging lights and wall lights to create the perfectly illuminated entryway.